"Follow the money" – that fundamental rule for investigating organized crime – also holds true for uncovering terrorist organizations. But if the search leads to your own doorstep, immediate and decisive action must be taken. This may be the case for the U.S. government in light of recent statements by Mahmoud Abbas, the current president of the Palestinian Authority. The 81-year-old Abbas, who has been president since 2005, is calling for unifying the Fatah party government with Hamas, which controls the Gaza Strip. President Bill Clinton's executive order first labeled Hamas as a foreign terrorist organization in 1995. 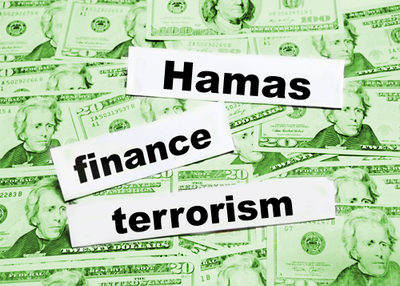 Hamas was included among terrorist groups whose "grave acts of violence ... disrupt the Middle East peace process [and] constitute an unusual and extraordinary threat to the national security, foreign policy, and economy of the United States." The State Department followed that up by labeling Hamas as a foreign terrorist organization in 1997. Those actions make it prohibited by law for any U.S. citizen to provide material support, including currency, to the organization. That means that if you or I gave a dollar to them or their pseudo charities, we can go to prison. The U.S. provides approximately $400 million annually to the Palestinian Authority (PA). That support cannot continue legally if the PA unites with Hamas, unless two critical conditions are met. First, Hamas would have to recognize "the Jewish state of Israel's right to exist." And second, just as crucial, Hamas must accept all previously negotiated Israeli-Palestinian agreements. Under its current charter – which calls for Israel's destruction – this will never happen. Hamas is an Islamic organization, formed in 1987 as an offshoot of the Muslim Brotherhood by a group of men including radical Islamic cleric Sheik Ahmed Yassin. Its very name is an acronym, Ḥarakat al-Muqāwamah al-ʾIslāmiyyah, for the Islamic Resistance Movement. Hamas wants a fundamentalist Islamic state on the very land allotted to the nation of Israel by the United Nations in 1948. Since its formation, Hamas has been responsible for suicide bombings, rocket attacks, and other heinous acts resulting in the deaths of innocent men, women, and children. It has also stolen (or re-directed) funds and support provided by the United Nations relief organizations and other charities intended to help the people of Gaza rebuild. Hamas has used the materials to build tunnels, buy weapons and construct military installations used to attack Israel. Do we really think that they would not be able to siphon off money from the funds the U.S. provides to the Palestinian Authority if an alliance government is formed? That would be foolish naiveté and dangerous diplomacy. In combating terrorist organizations like al-Qaida, ISIS, and Al Shabaab, counter terrorism experts strive to cut off funding to these groups. That's because if you cut off the finances, the organizations will not be able to reconstitute or recruit. Giving them a handout or opening another spigot from which they could water the fertile soil of jihad is counter to the goal of eliminating the threat posed to Western democracies by radical Islam. Having just gone through eight years of an administration that refused to use the term "radical Islamism" when discussing terrorism, the U.S. must say "NO" to the Palestinian Authority/Hamas alliance. Otherwise we will find ourselves, the U.S. taxpayers, providing material support to a radical Islamic terrorist organization. Enough with the handouts. The buck stops here.